I said [in an earlier talk ] that members of all castes must perform aupasana. The husband and the wife must do it together. Even when the husband is away the wife must perform it by offering unbroken rice grains in the sacrificial fire. The Vedas themselves have given women such a right. We hear people talk of "rights". It is my wish to create an awareness among women about their right, the right to aupasana. I should like every home to become bright with the sacred aupasana fire. Women should fight for this right of theirs and impress upon their husbands the importance of performing aupasana. "Even though you have given up all scriptural karma, you at least do the Gayatrijapa to retain your tenuous connection with the Vedic dharma. If you do not do this japa or even forget the mantra, one day you will feel repentant over it thinking of the upanayana samskara you had", women should tell their husband. "As for me I have had no upanayana, nor am I entitled to mutter the Gayatri. If at all I have any right according to the Vedas, which are the source not only of our religion but of this world and of creation itself, it is this aupasana. If you refuse to perform it I will be denied my Vedic right. " In this manner women must fight for this sacred right of theirs and make their husbands perform aupasana. Aupasana is indeed their one great Vedic "property". Women must bear in mind the importance of aupasana and agnihotra (like aupasana, agnihotra must also be performed twice a day). "So many fires are burning in the home", they must tell themselves. "We make coffee on the fire and cook food or make the water warm to bathe. By not performing aupasana we will be extinguishing that fire which was witness to our marriage." The sacred fire must be kept burning by adding rice husk to it now and then. In many ways it is advantageous to pound rice at home for, apart from the husk, we will have nutritious hand-pounded rice to eat. Also the poor labourer who does the pounding will get a little cash or a few handfuls of rice for his or her sustenance. (For the unbroken rice grains offered in the fire the housewife must pound the rice herself. This is a piece of work done to the accompaniment of mantras). It does not cost much to perform aupasana nor does the rite take long to go through. All you need is the will to do it. Hand-pounded rice is also good for your health. Milled and polished rice is not good. Besides in hand-pounding there is something of the Gandhian ideal too. The aupasana fire will keep away all evil spirits and afflictions of all types. 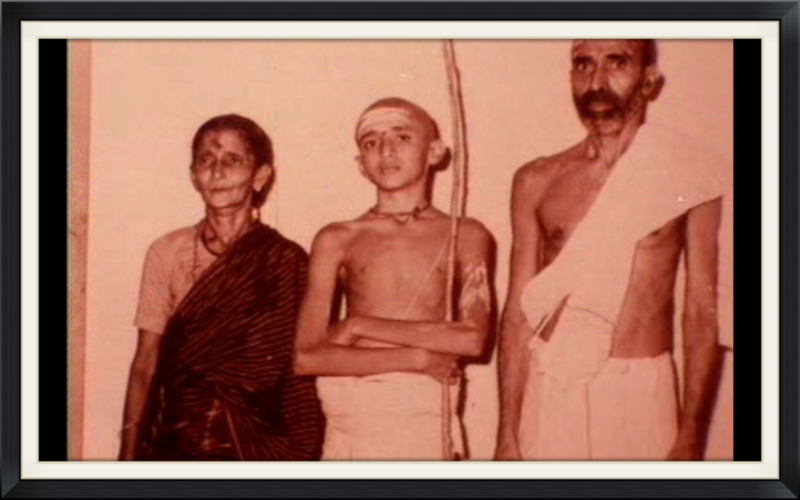 Many Brahmins today have exorcist rites performed by others with neem leaves or bamboo sticks. They go to a mosque for relief, or they come to me praying for help. Aupasana is a remedy for all ills and wearing the aupasana ashes is a great protection.